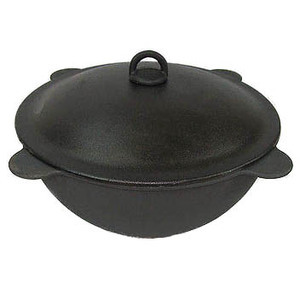 For the cast iron cookware, our major products include the cast iron pot, cast iron pan , cast iron fondue, cast iron tea kettle and potjie pot and so on. And for the stone cookware, our major products include the mortar and pestle, stone gift, stone trivet, stone cheese board, stone chopping board, and so on. 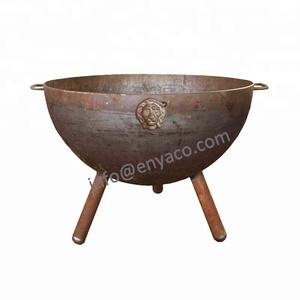 2.What is your main scope of business9 We mainly manufacture and export cast iron cookware and stone cookware. 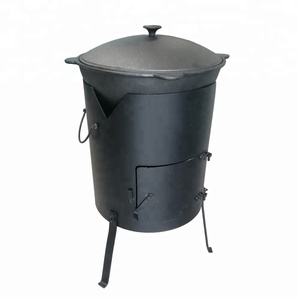 1-70 L 14-50cm cast iron potjie pot cauldron Detailed Images Healthy and Durable Nonstick nterior includes three layers of nonstick coating - two layers provide durability and the third layer offers easy release performance. 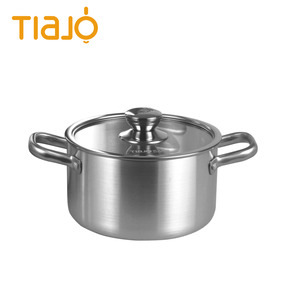 High-quality Induction Compatible Bottom Super conductive for even heat distribution, the stainless steel induction bottom makes the pan suitable for all cooking methods including induction. Heavy Forged Aluminum Construction Super thick forged aluminum body provides durability and strength while assuring even heat distribution. 2.With insluated foam inside the cover to make it better thermal insulation. 1.Q:What&rsquo;s the package for this product9 A:Strong brown carton for save protection during long transportation. And we accept mix items in one shipment for your first marketing investigation. Strong adhesion can ensure to pass the test, and also the national food safety testing of enamel. About us . We have 7 production lines with over 500 workers, we could promise a punctual delivery time . We have passed FDA ,EEC,our interior enamel coating are food grade,very safe. .
2. Often clean the parts that do not touch the food at ordinary times, such as handle seat, the outer surface of the pan, etc. It is a joint-stock company which incorporate R & D, production and sales of metal products. 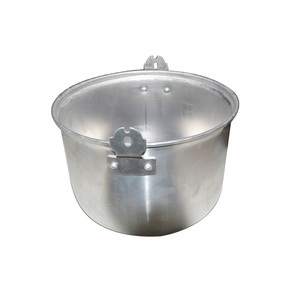 The company has advanced production lines of billet casting, non stick spraying, cast iron enamel, etc. 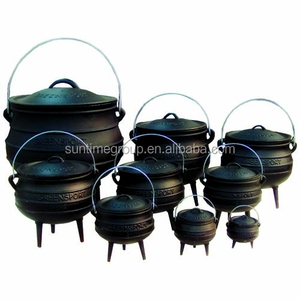 Mini Cast Iron Pentagram Cauldron Specifications Product name Mini Cast Iron Pentagram Cauldron Item No. 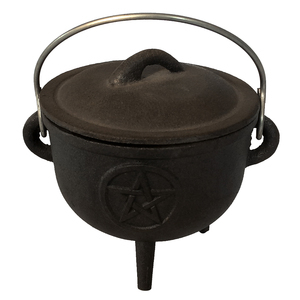 Cast iron pentagram cauldron includes a well-fitted lid and a heavy duty carrying handles. 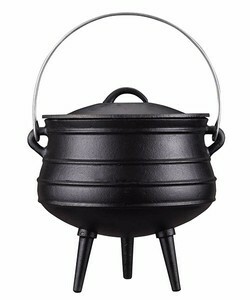 The tall legs make it ideal for cooking directly over fire/coals or gas burner. Alibaba.com offers 1,417 cauldron products. About 28% of these are soup & stock pots, 12% are other food processing machinery, and 10% are dutch ovens. A wide variety of cauldron options are available to you, such as sgs, ce / eu, and fda. 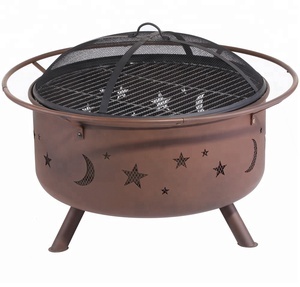 You can also choose from soup & stock pots, event & party supplies, and fire pits. As well as from eco-friendly, stocked. And whether cauldron is metal, polyresin, or porcelain enameled. There are 1,443 cauldron suppliers, mainly located in Asia. The top supplying countries are China (Mainland), India, and Turkey, which supply 95%, 2%, and 1% of cauldron respectively. Cauldron products are most popular in North America, Western Europe, and Eastern Europe. You can ensure product safety by selecting from certified suppliers, including 282 with ISO9001, 66 with Other, and 29 with BSCI certification.